Health Comes First : One thing I think all parents worry about is how healthy the home is for their child. After all, we want them to have happy and healthy lives. And while we can’t control what happens outside of the property, we can make a big difference in the humble abode. Therefore, here are some easy ways to make your home a healthier environment for your kids. To ensure your home is healthy for your kid, you need to make sure there is plenty of air in the property. After all, if the home is stuffy and too hot, your child could end up with bugs like the flu before long. Therefore, it’s a good idea to let some air into your home. It might be that you keep the windows open for a short amount of time each day. That way, it will be nice and airy for your kids. However, make sure the air in your home is pure for the kids. After all, you don’t want them breathing in dirty air which can affect their health. Therefore, you ought to consider getting an air purifier which will ensure the air is pure for your family! 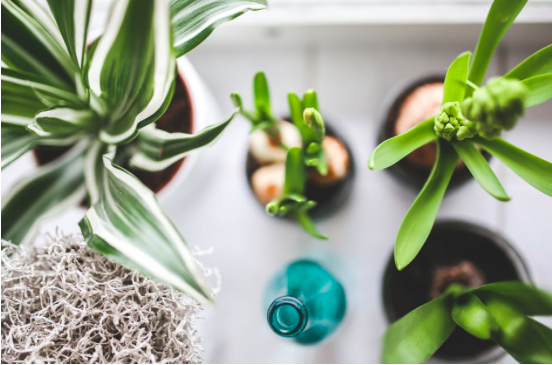 One of the easiest ways that you can make your home healthier is by investing in some plants. After all, they can clear the air and ensure it’s pure for your kids. And plants in your home have been found to have some calming benefits! Therefore, you should get some plants which you can put around the house for the sake of your family. And you might even consider growing some yourself. It will be a fun thing to do that the whole family can get involved in,. Just make sure you get everything you need, so they grow well in your home. In fact, you have to see this to ensure you have the right things to grow your plants in the property. 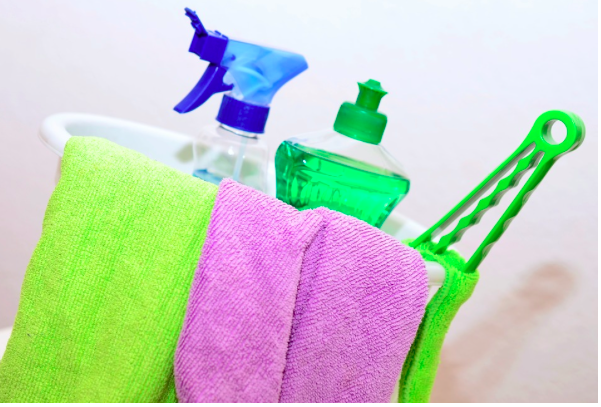 A lot of people don’t realize how many toxins are in cleaning products for the home. And then they put their kids at risk of health problems. After all, some of the products can trigger people’s asthma and can lead to breathing problems. Therefore, avoid any chemical-based products for the sake of your family. In fact, you might want to opt for green products instead which will ensure you keep your home a healthy environment for your family. Or you could even make some of your own; check out this site for some home brewed ideas for cleaning product alternatives. Dust is one of homeowner’s biggest enemies. After all, it can get everywhere in your home. And if it builds up, it can put your little one’s health at risk. It can often aggravate asthma symptoms, leave your kid coughing away. Therefore, to ensure it doesn’t cause a big issue, you should make sure you tackle dust quickly in your home. Clean your home regularly, and remember to get hidden dust too which is at the top of doors and under the bed! And once you have made the inside a healthier environment, read my previous blog to deal with the garden!